The author is a pig specialist veterinary surgeon who spent more than 30 years, following graduation from the University of Bristol, as a Partner in a large mixed practice in Yorkshire. Since retiring from the Practice in 2013 he has worked as an independent veterinary consultant to the pig industry. Over the years he has provided advice to pig farmers around the world with emphasis on pig health maintenance and restoration, welfare and productivity. Training of both stock people and young veterinarians has formed an important part of the job. He has written extensively on clinical and practical pig matters for both veterinary and farming audiences. 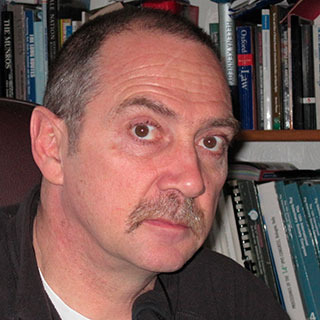 He was a co- organiser of the highly successful 1998 IPVS Congress in Birmingham UK and chaired the organising committee of the 5th ESPHM 2013 Edinburgh. He is a current member of the UK Government’s Farm Animal Welfare Committee. In 2005 he completed a Bachelor of Laws degree studying part-time at the University of Hull and undertakes expert witness work in both criminal and civil cases that relate to pig medicine and pig keeping. He has been married for 32 years, has 2 adult sons and now lives in rural Herefordshire. The overgrowth of horn of the claw leading to slipper feet, cracking or separation, and secondary septic laminitis has a multifactorial origin. Great care is needed particularly when handling young pigs above 6kg/3 weeks of age, to avoid causing lasting damage. This case study describes an outbreak in a commercial unit which proved difficult to stop without vaccine. Since 2014 an increasing number of cases of this disease have been reported in Europe though it remains unclear why it has reappeared. This clinical case study tracks the long term pattern and control of Actinobacillus pleuropneumoniae (App) disease in a breeder feeder farm through the 1990’s.